In 2016, Seton Hill accepted 61% of applicants, making the school largely accessible. Students with average grades and test scores (or better) have a good chance of being admitted. To apply, prospective students will need to submit an application, official high school transcripts, SAT or ACT scores, a short essay, and a letter of recommendation. For complete requirements and information, be sure to visit the school's website. 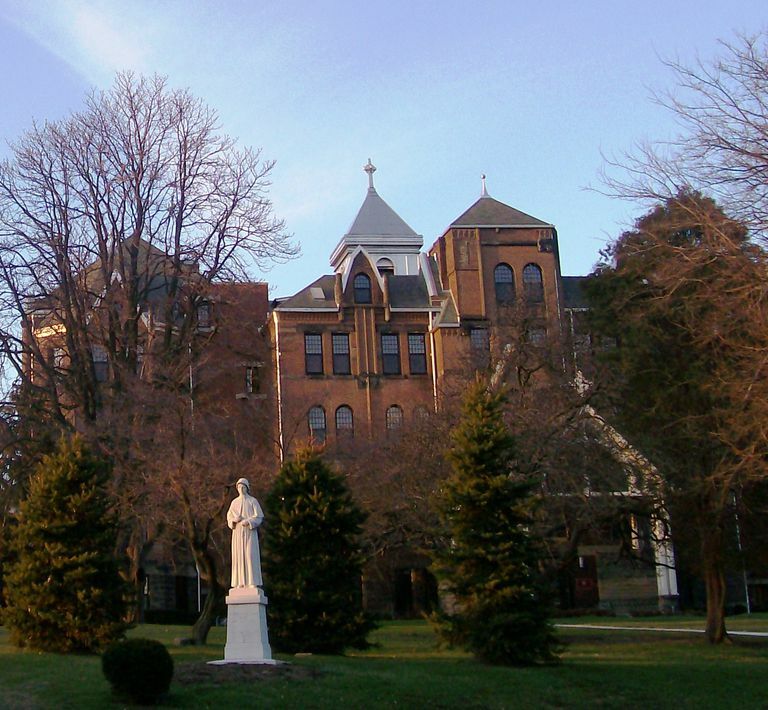 Seton Hill University is a small, Catholic liberal arts university located in Greensburg, Pennsylvania. Originally a women’s college, the university became coeducational in 2002. The campus is situated on 200 tree-lined acres at the heart of the historical district of Greensburg in southwest Pennsylvania, less than an hour outside of Pittsburgh. The university is widely recognized for its recent Technology Advantage Program, which provides every full-time student with an iPad and a MacBook. Seton Hill offers more than 30 undergraduate majors and 12 graduate degrees, including popular programs in business, art, psychology, and music as well as the university’s signature programs in health sciences, visual and performing arts, and business and entrepreneurship. Although it is not primarily a residential university, students remain actively involved in campus life, participating in more than 40 clubs and organizations, an extensive intramural athletic program and a campus ministry supporting all faith traditions. The Seton Hill Griffins compete in the NCAA Division II West Virginia Intercollegiate Athletic Conference.